Being involved closely with Art, music and bands, as a fan and through work, it never fails to amaze me, how creativity, or indeed sport, can stimulate you to visit countries and districts and towns that under any other circumstances, you'd never think of setting foot in, discovering along the way, different ways of life, and friends, and cultures. A single reason is all we need, to take the first step, towards that end point. Being a huge Morrissey fan, I was moved, on reading the news report below, and as ever the great man summed it up better than I ever could. Morrissey has released a statement over the sudden and unexpected death of longtime fan Melinda Hsu, who passed away on April 12. Hsu, a California native, was a frequent presence at Morrissey concerts and a well-known personality on Morrissey fan sites. Morrissey, who singled Hsu out at many concerts, often handing her the microphone, published a touching tribute to Hsu via the Morrissey zine True to You. "Mel was a smiling face who lent strength to every single concert, even when events were going somewhat pear-shaped," the former Smiths lead singer wrote. "I felt as if I knew Mel because she was always there -- regardless of wherever 'there' happened to be; no snowbound landscape too far, no off-the-beaten track too untrekkable. "Morrissey echoed what many other fellow fans emphasized in their memorials of Hsu. A moderator on the site Morrissey Solo expressed his amazement that she was able to make it to so many far-flung shows: "I remember Melinda for her dedication ... so many times I would hear her report on a Morrissey show and think, 'How in the world did she make it there?' There was never a Morrissey show too far. "But Morrissey turned modest in recognizing Hsu's and other fan's dedication to his shows. "Those who travel from concert to concert as Mel did possibly don't realize the contribution they make," he said. "They are as much a part of the night as I am, but I sometimes feel embarrassed because I think they are asking for more than there is, and, mostily, I can't give it." "The goat-like vocals and the tipsy monologues are all that I am," he added. 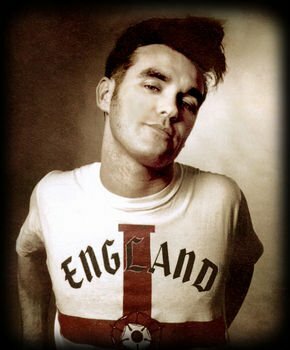 Calling death an "unbreakable appointment," Morrissey was ever the brooding poet in his tribute to Hsu. "Life's only promise is its final deadline. When Mel, and others who are dear to us, depart, we should at least realize as we shuffle along living our small and persecuted lives, how absolutely ridiculous it is to be afraid of anything or anyone on this unhappy planet." A perfect follow up to "Don't Die With the Music In You". Music creates tribes...and the tribal call is a strong one. Morrissey is one such tribal artist. I first remember listening to the Smiths in the early 80's and was mesmerized by their music. I have since followed Morrissey through his various solo incarnations. His music is a grounded in a spiritual existence that I always relate strongly too. Hell, he even had a car wreck and broke his spine like me, and he sings about it in the song, "That's How People Grow Up". In that song, he also points to his philosophy shared at the end of this blog..."it is absolutely ridiculous to be afraid of anything or anyone on this unhappy planet." Yes, Morrisey, "I'll see you again in far away places." P.S. Sounds like a hell of a party Sir D!